Melbourne’s cafe scene moves pretty fast. If you don’t stop to look around once in a while you could miss it. Lucky for you guys we’re out there every day, eating the rest to bring you the best. It’s a tough gig, but someone’s gotta do it. 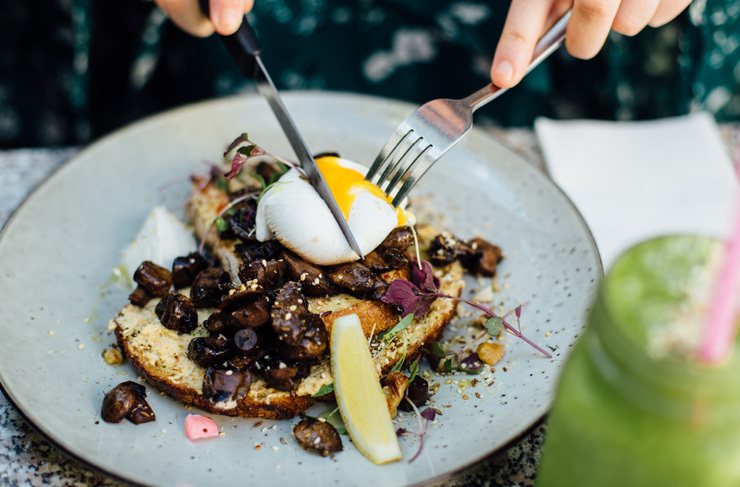 This month we’ve got a nice little list for you: some neighbourhood gems, a backstreet patisserie and a plant-based cafe/nursery way out west. Go forth and brunch. Here are 5 new cafes to check out in Melbourne this month. You might have heard of Penny For Pound. Their fig, honeycomb and orange crème Brûlée doughnut took out the top gong at the 2018 Melbourne Doughnut Fest. 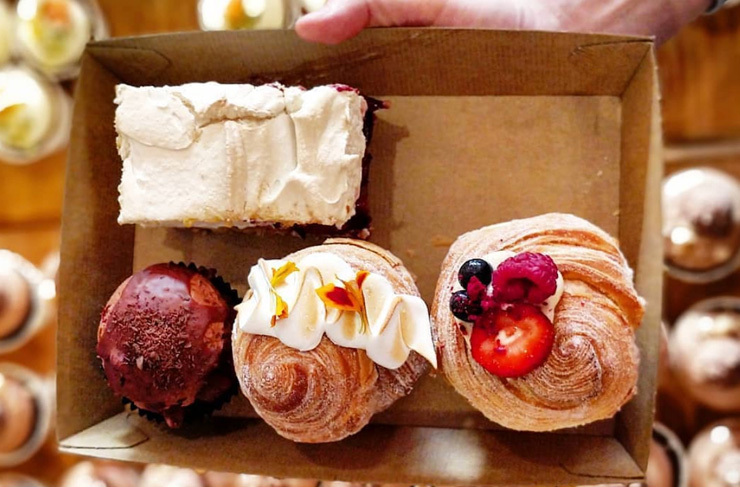 These guys usually supply A-Grade cafes around town with croissants, tarts, cakes, doughnuts and other nibbles, but now they’ve opened their own digs. It’s in the backstreets behind Bridge Rd in Richmond. Just follow the smell of sugar. Vegans and veggos, we haven’t forgotten you. Presenting the West’s new plant-based brunch bar—part cafe, part nursery, all delicious (the brunch, anyway, not the plants. Don’t eat the plants). One For The Crow has popped up in Maidstone, which isn’t a suburb you usually associate with golden, vegan banana waffles. But there you go. Melbourne’s brunch scene is always full of surprises. Stop off for a feed and pick up a few succulents for the windowsill back home. Winning. Pastel pink Cali style with a dog-friendly garden out back? Okay, you’ve got our attention. 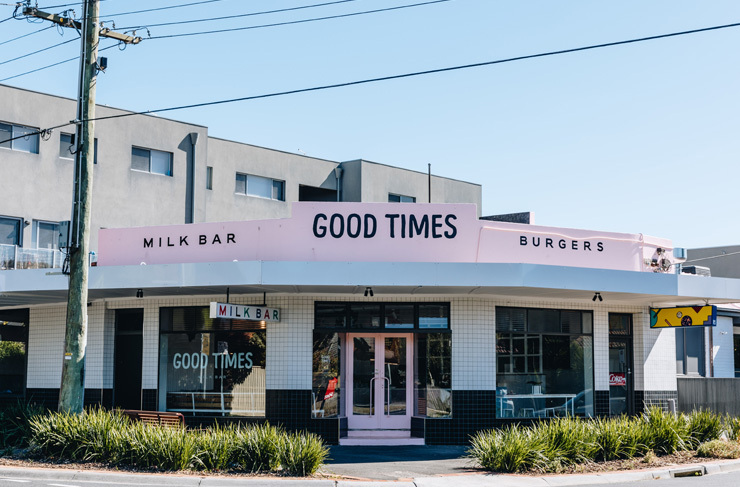 Good Times has taken over an old milk bar site in Bentleigh, and the locals are frothing. If you’re going to come on the weekend, get in early to secure a bean bag in the garden out back. Then order up a plate of the ricotta hotcakes, drizzled with berry compote and a meringue crumb. The brekky menu runs all day, and they’re even serving up bottomless batch brew. Nice one. This one’s hot off the presses, from the guys that brought you Bentwood, Tinker and MOB in Camberwell. Clubhouse has popped up on Malvern Rd, looking rather spiffing in its green and white colour scheme. If you’ve been to any of the three cafes above, you know what you’re in for: excellent coffee (courtesy of the guys at Inglewood) and a seriously incredible brunch. The Malvern Rd brunch strip is notoriously tough, but we’ve got a sneaking suspicion Clubhouse will be around for a LONG time. Want a hot new bar tip? Try Mjolner in the CBD. Vikings, cocktails and multiple beards. It's pretty nuts.